Our times have changed entirely in perspective of web technology and to survive in this fastmoving & cluttered world, having a significant web presence is vital. Your institution's website is a boon since it is a quick & easy way to represent your brand across the world. Having a web presence is no longer an option for organizations; it is as important and as necessary as printing business cards. Virtual identity of your institution is as important as your physical one because their virtual presence and activities tremendously influence the decision making of students. Our innovative web development solution enables you with a brand new website by accurately understanding your business requirements and market trends. We construct a highly interactive website for your business with effortless and smart navigation, making it easy and smooth for visitors to go through your offerings. User engagement & assistance is considered a top priority in our web development solution. 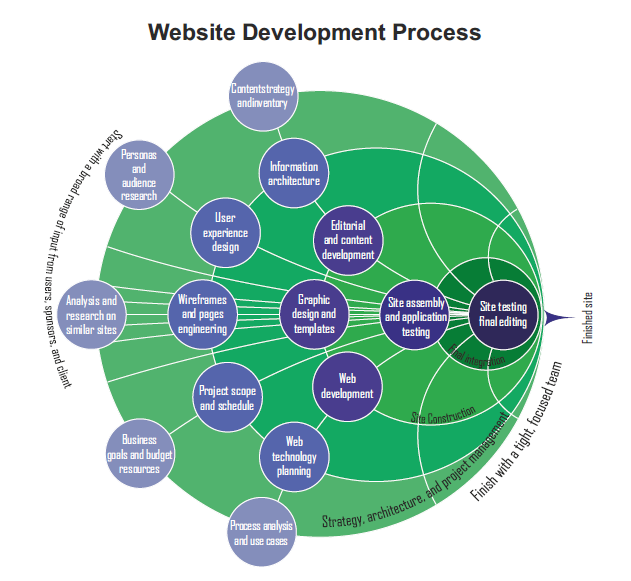 Our expertise is in the delivery of high-quality website development services throughout the development cycle.